Starting a new thread because I couldn't find anything related to V3 rims. I would like to mount AP2 V3 rims (2008/2009 model year) on my 2007. Has anyone done this? If so, I need advice on how its done. Any thoughts from someone who might have researched this, or done it before? I have V3 wheels on my MY00 with zero issues. They will balance the wheels when they install the tires. Last edited by mlc; 01-21-2014 at 02:15 PM. Thanks for the information - this is great news for me. I guess the tire-balancing weights *can* overcome the built-in counterweights. They do have to put quite a few on there but they are stuck on the inside and not really that noticeable. They just put the old style stems in it and balance the wheels. I guess you can put the TPMS sensors on if you want they just wont send a signal to anything in the car. 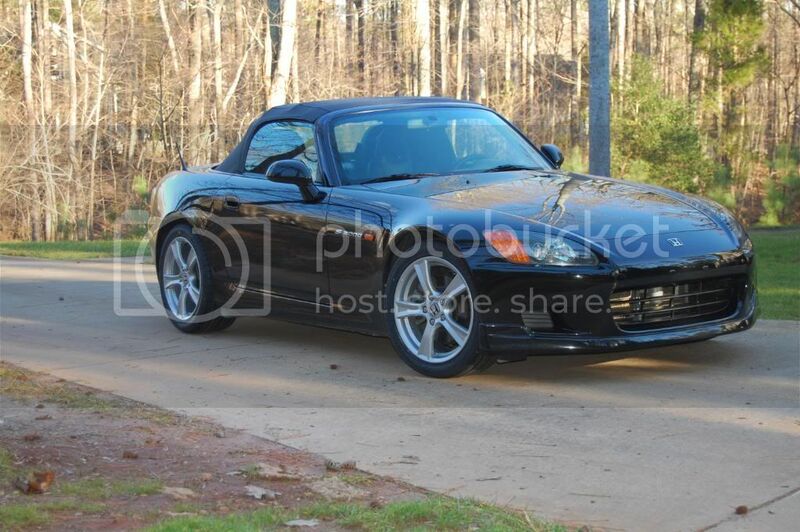 mlc - those wheels look great on your AP1 ! Mick - post some pics when you get them on your car. It took me a while to warm up to the V3s, but now I love them ! I will post pics for sure, when its all done. Still a ways to go before it gets done - perhaps mid-to-late Feb. I was not aware of TPMS on the S nor the counter-balance in one of spokes. As soon as Spring breaks I have a set of V3s going on my '05. Now you got me wondering too! That is one clean looking car! Any photo before and after to share out please ? I noticed that somehow the topic stopped half way without photos updated. Can you complete it by updating yourV3 wheels on your AP1? I have CR wheels on my AP-1. Look's just like Kevin's (MLC) car above. has anyone heard of the stock block going boom? Where is the ODBII Port? Has anyone tried the Palm-Dyno? Quick Reply: Has anyone mounted V3 rims on a 2007?